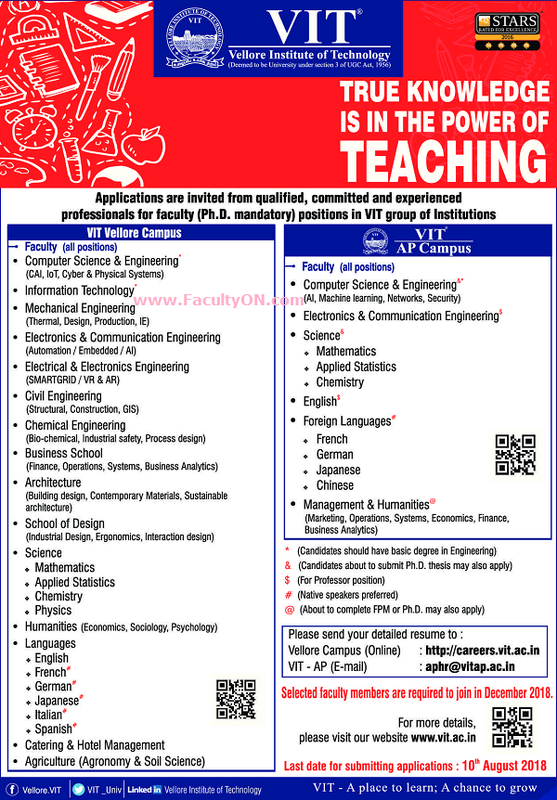 VIT University, Vellore has advertised in THE HINDU newspaper for recruitment of Professors / Associate Professors / Assistant Professors jobs vacancies. Interested and eligible job aspirants are requested to apply on or before 10th August 2018. Check out further more details below. How to Apply: Interested and eligible candidates are requested to apply ONLINE at the official website for Vellore Campus and Send email for Andhra Pradesh campus to the email address mentioned below.